Our relationship began with a word. I met with my friend Kelly after Andrew and I had been out on a couple of dates. I liked him, but it was awkward. This is one of the first pictures of us ever taken. We were not dating. Andrew is on Duck 3 from the left and I am on Duck 4. Once the three weeks were over, we were both all in. . . . . And then we decided we needed a new word. We chose “balance.” We wanted to find ways to have a healthy dating relationship: emotionally, socially, physically, and spiritually. And we wanted to find times when we could see each other and times where we were apart. We spent the next month intentionally seeking balance in our days and weeks. So we started choosing words when we started dating, to help us focus, to give us a talking point, to embrace the intentional. When we got married we decided to choose words for the year at the beginning of the year. We would think about how we wanted to be in the year ahead. Then around the first weekend of the month we would take time together (usually in a spot in the world we both enjoyed . 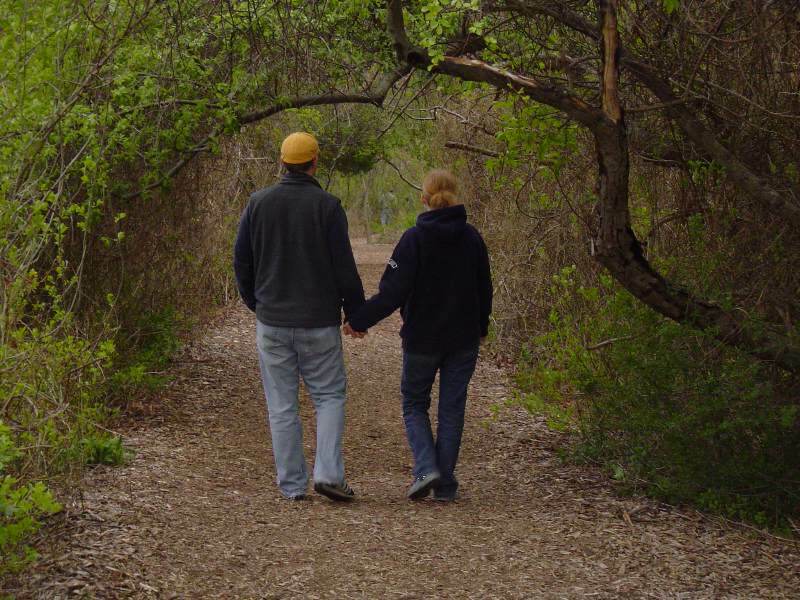 . . sometimes at Brazos Bend or the Arboretum when we lived in Houston, at Tuck’s Point or Singing Beach here on the North Shore of Boston). We would think about each word and make goals around it for the month. We would take the time to review how we had done the month before. I have written bits about this process here and here . 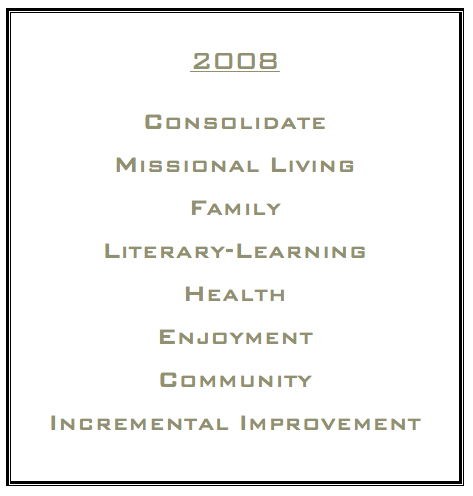 . . and later this week we will be sharing about our words for 2011. 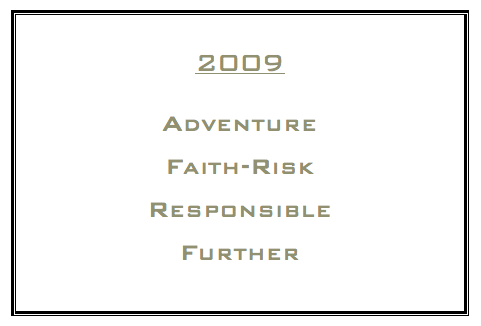 Here are the words we have chosen over the past three years . . . . The Sharpteam is renewing their commitment to blogging in 2011. It holds us accountable and it builds community . . . . so we are all in. 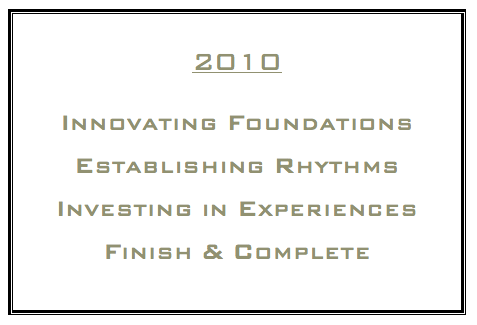 Check back this week for our 2011 words.